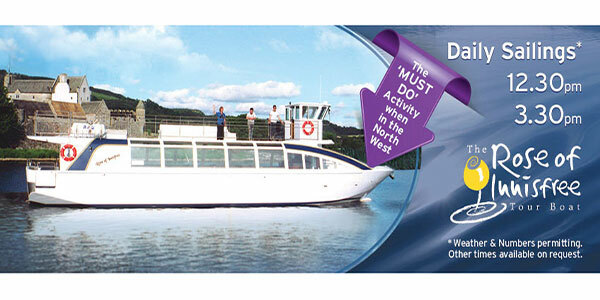 No visit to the north west is complete without a trip on the Rose of Innisfree tourboat. 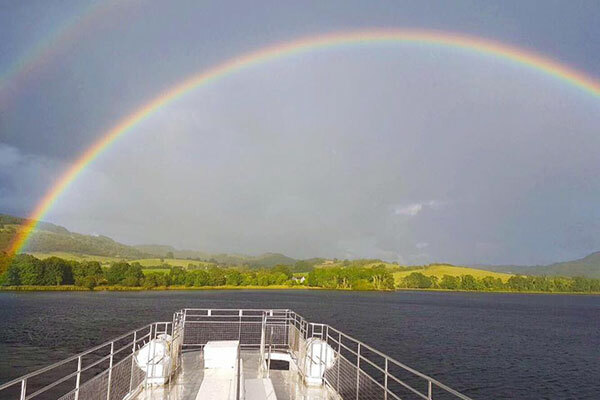 Sail around the Isle of Innisfree, situated on one of Ireland’s most beautiful lakes, Lough Gill, on the Sligo Leitrim border. The Isle of Innisfree inspired W.B. Yeats to write Irelands most popular poem. 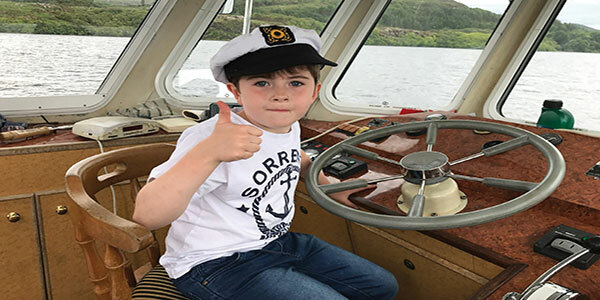 Depart from the 17th Century Parkes Castle and take a leisurely cruise across Lough Gill which is surrounded by outstanding natural beauty and steeped in myth and legend. Tea, coffee, home baking, snacks and full bar service on board while the skipper, George McGoldrick, will recite tales of folklore, history and poetry associated with the area and Ireland’s most famous son, W.B.Yeats. Lough Gills environs are unrivaled in Ireland for its unspoiled beauty and interest to tourists and locals alike. Its great diversity of geology, archaeology, history and scenery leave a permanent impression on all visitors. Lough Gills association with major events dates back as far as any locality in Europe, e.g. Queen Maeve of Connaught, O’Rourke’s of Breffni, Norman Invasion, Sligo Abbey, Plantation castle, 1916 Rising. The Cruise takes in numerous places of interest including Church island, Dooney rock, Slish wood and many many more. 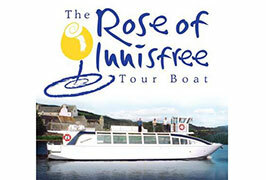 If you are looking for something different for your family trip or social event why not call The Rose of Innisfree Tour Boat. A great day out for people of all ages. Family Fun Tip:- Be a captain for the day, young nautical enthusiasts get a chance to steer the boat themselves. They offer daily cruises – Weather & numbers permitting. Get the Best of Both worlds with the Yeats Spectacular Bus & Boat Tour. Take in all the superb scenery this part of the country has to offer by road accompanied by a full guide.